I have 11 prayer shawls/lapghans all wrapped and ready for delivery to DaVita Dialysis in Laurel tomorrow. This will be our ministry’s third delivery to this center and I have been told by the center’s social worker these items are so appreciated by each of the recipients. 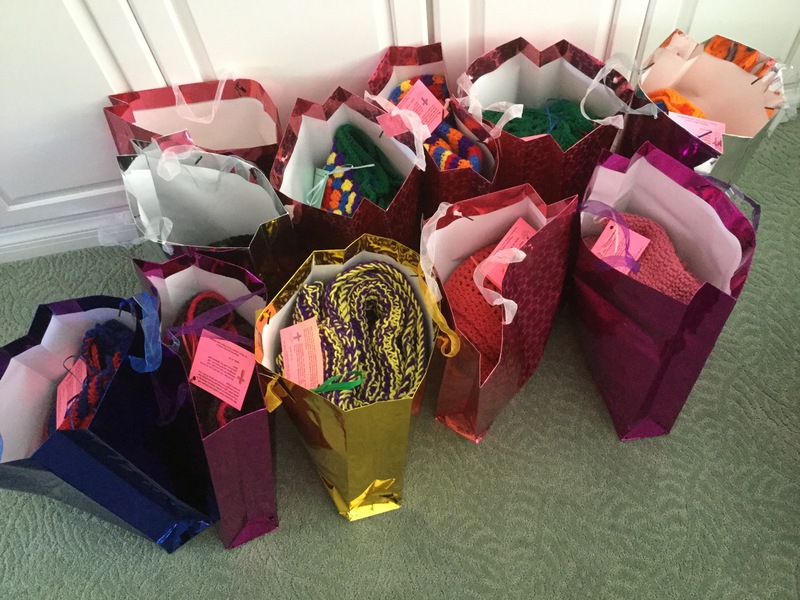 We are ever so grateful for all of the wonderful shawls and lapghans we receive for our ministry from our church members and others in our community who wish to support our ministry though members of other churches. 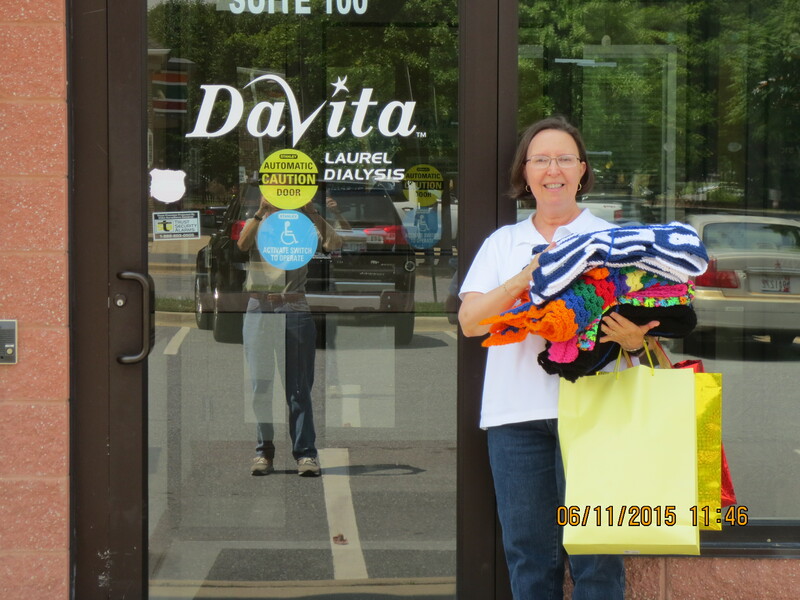 These people are truly angels to the patients at our local DaVita Dialysis Center. This was our second delivery to the center and all of these items are so very appreciated by the patients who receive them. Come! Help fill and tag the many Christmas stockings which will be given to a nursing home. WHAT TIME: From 10:00 am to ???. Our next Prayer Shawl Ministry group meeting will be on September 12, 2015. 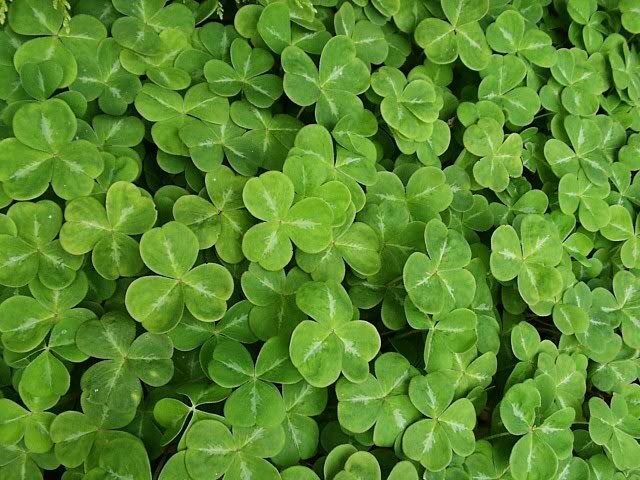 Our next workshop is June 13 at 10:00 am in the conference room. We will gather this coming Saturday (14th ) for our monthly workshop: 10:00 to noon in the Conference Room. Come when you can and leave when you must. 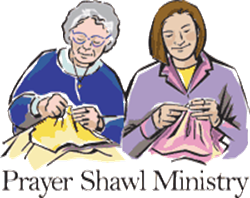 The February Prayer Shawl Ministry workshop is on the 14th at 10:00 am in the conference room. Join in the fellowship!